Disappointing entry in the Lucy Stone series. After 23 books, I realize that an author may get tired of a genre or a set of characters. I give Ms. Meier credit for trying to update the setting by adding current events. However, the white supremacists in this novel are just ethnic stereotypes that sound suspiciously similar to Trump supporters. That choice may offend some readers. In addition, I felt like I was being hit over the head with the numerous references to the opioid epidemic. I get it. Opioids are baaaad. Unfortunately, now my head hurts so much that I need to take some opioids (just kidding). The quick resolution of the plot had so many coincidences that it was totally unbelievable. I have to say that I wouldn’t recommend this book to anyone. If you like cozy mysteries, please read any other book by this author. 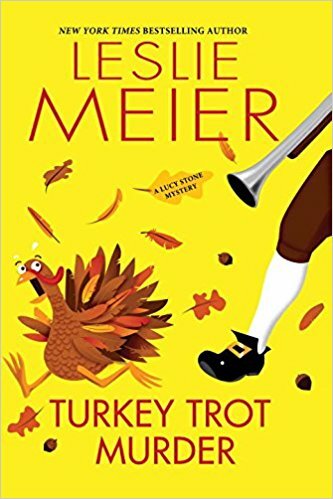 I guarantee it will be better than the Turkey Trot Murder and many of the other cozy mysteries currently being marketed. However, I have to reluctantly (because I love the other books in the series) give 1 star for this one. Thanks to the publisher, Kensington Books, and netgalley for an advanced review copy of this book in exchange for my honest review.